These days, it seems like the most popular way to get ultra long lashes is lash extensions. But whether you don’t want to make the pricey investment, don’t have the time, or don’t want someone coming at your eyes with tiny, pointy tweezers (raises hand), we have an alternative for you that’s a LOT faster and cheaper: lengthening mascara. Just a simple swipe will elongate your lashes, leaving you with a fluttery feel. But first, you have to find just the right lengthening mascara. There are plenty out there to help you fake the lash extensions look, and the most coveted ones do double duty by bringing on the volume or holding a curl, to name a few extra perks. From a range of prices and formulas, these are the top lengthening mascaras to give you long, luscious lashes. 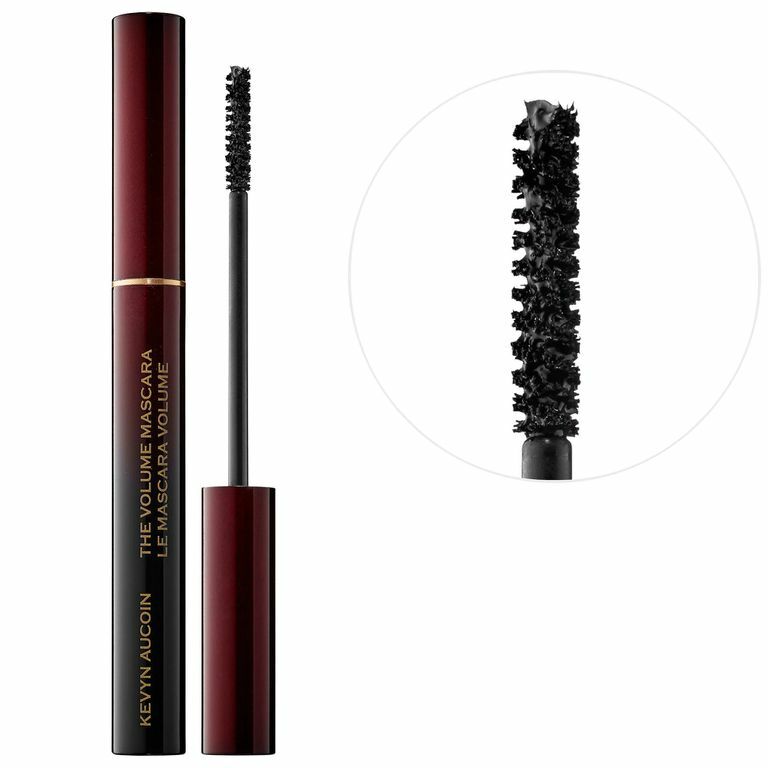 If you’re looking for an everyday mascara that delivers major length, Kevyn Aucoin Beauty the Volume Mascara is the one for you. It’s impressively natural-looking, meaning it’s perfect for the office or brunch. The tubing mascara thickens, lengthens and separates perfectly and lasts all day without clumping, thanks to volume-building fibers. This mascara includes two steps, and we promise it’s worth the extra effort to get long, lush lashes. First, apply the black primer to build color and volume, then before it dries, add a coat or two of the fiber-infused mascara from the curved brush that’s designed to coat every hair. The result is seven times more volume—seriously! Just like the original, this mascara will stretch your lashes to great lengths and nourish them with 100% pure minerals, antioxidants, ​and natural extracts that condition, strengthen, and protect lashes. Unlike the original, this version is waterproof, so the long-wear formula won’t move or smudge until you remove it. The name is no joke — Charlotte Tilbury’s mascara will indeed give you “full, fat” lashes. When you don’t want to deal with falsies, this mascara is the next best thing. The five-in-one formula does it all: it curls, separates, volumizes, and lengthens. Our writers spent 3 hours researching the most popular lengthening mascara on the market. Before making their final recommendations, they considered 30 different mascaras overall, screened options from 25 different brands and manufacturers, read over 35 user reviews (both positive and negative), and tested 15 of the mascaras themselves. All of this research adds up to recommendations you can trust.